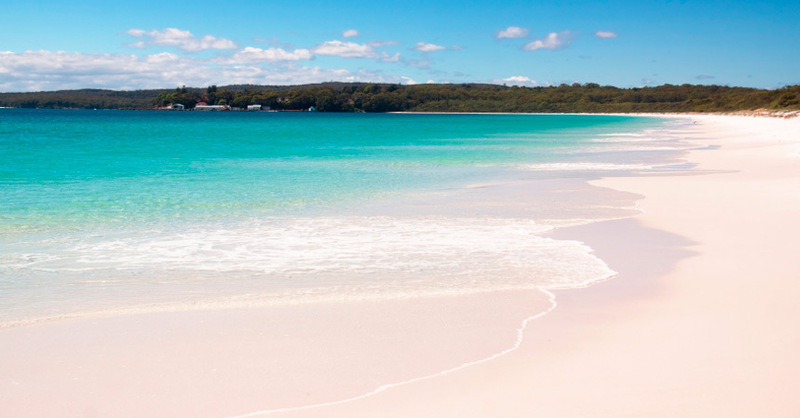 Hyams Beach is renowned as having the whitest sand in the world. It is an excellent holiday area for families. Hyams Beach is in Jervis Bay, in the Shoalhaven area, just 2.5 hours drive south of Sydney. The Jervis Blue Cafe is open for breakfast and lunch and also has a great range of gourmet delights. Huskisson is the closest town for a more extensive shopping experience. As well as the beautiful white beach, there are lots of good bushwalks, coastal walks and cycleways providing plenty of reasons to get out and about. A short drive takes you to Booderee National Park with its beautiful pristine beaches, lovely nature walks, botanic gardens and native wildlife. Further south is Ulladulla. Just a short drive inland from Jervis bay, is the beautiful Kangaroo Valley. Accommodation is available in self contained cabins, cottages & houses.